These days, it’s easier than ever to carry your computer around and to have all of the information you could ever need at your fingertips…that is, if you have good Internet access. Unfortunately, we all know how annoying it can be when you find yourself in a spot that has some wireless access, but not nearly enough—your browser slows to a crawl, and any hope you had of getting your work done goes out the window. 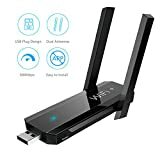 That is, unless you have a Wi-Fi booster, which can strengthen the signal and allow you to do whatever you need online. If you don’t have a Wi-Fi booster yet, here is how you can find a good one. Desktop: Desktop boosters are designed to give your home or office network an extra strong signal. Portable: Portable boosters are designed to be extra compact, so that they can be plugged into the router at the new office, home, etc. 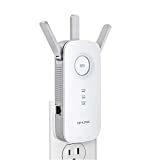 Wireless: Instead of connecting to the Wi-Fi router, wireless boosters plug into the user’s computer; they then pick up and enhance the Wi-Fi signal. 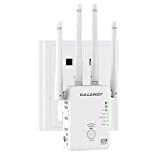 Wireless boosters are a great option if you do a lot of work on networks in airports, coffee shops, or other locations where you don’t have access to the router itself. Range extension: Not surprisingly, people who buy a signal booster want to be able to take their computers away from the wireless router. Great models allow users to access the Internet from anywhere in the house or office without sacrificing performance. Speed: Increased range is nice, but it’s not very useful if it doesn’t come with excellent download and upload speeds. The best boosters are ones that allow users to have lighting-fast Internet access. Ease of setup: Like any aftermarket electronic accessory, a Wi-Fi booster should be easy to install and start using. Better models come with clear instructions, but more importantly, their installation is fast and intuitive. 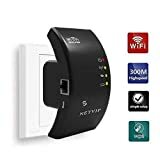 Connection: When you’re looking at Wi-Fi boosters, make sure to take a look at how it will connect to the router. If it’s a wired booster, make sure that it comes with all of the required equipment (or that you have all you need on hand). System compatibility: Some boosters will work with any operating systems, while others have a specific list of systems that they are compatible with. Before completing a purchase, make sure that the booster you’re ordering matches your equipment. 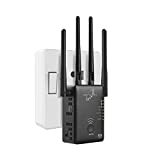 Size: Fortunately, Wi-Fi boosters are mostly fairly small, but if you happen to have a particularly small or cramped home office, then you might want to go with one of the more compact models. Cisco: Cisco Systems is a leading American technology company. Founded in 1984, Cisco specializes in networking products. 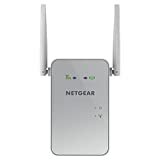 Netgear: Netgear is an American company that is primarily known for manufacturing networking products, including wireless routers, Wi-Fi boosters, and other Internet accessories. 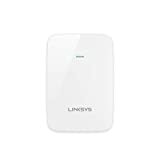 TP-Link: TP-Link is a Chinese manufacturer of routers and other Internet-related products, which are sold in over 100 countries around the world. D-Link: D-Link is a Taiwanese company that produces a wide variety of computer accessories, from networking products to cameras.